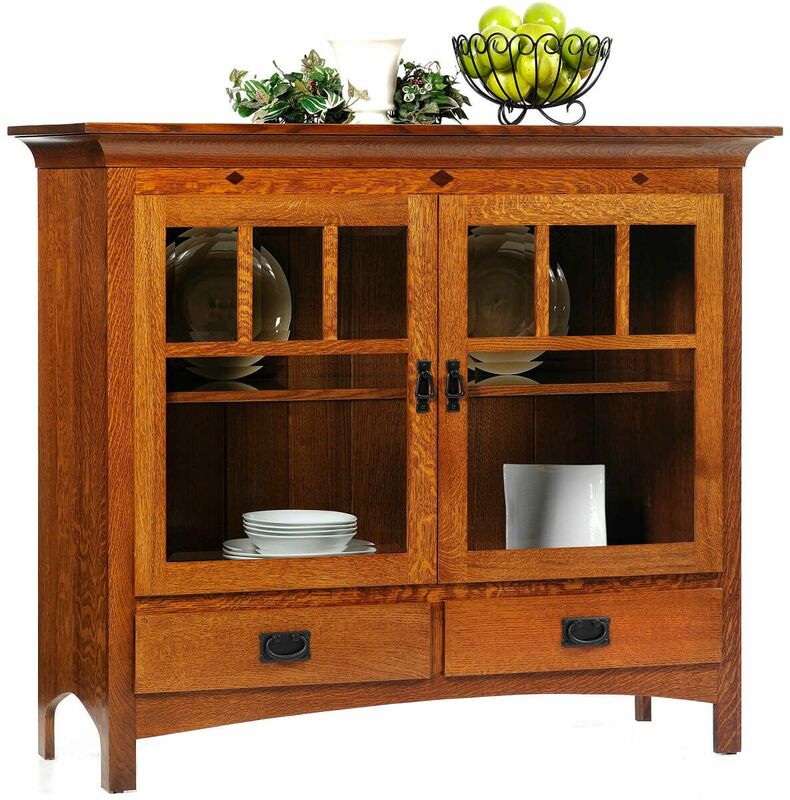 Elegant without being overly formal, our hardwood Desert Hills China Pantry is an excellent handcrafted option for your dining room or eat-in kitchen. Adorned with a lovely Mission moulding and solid tongue and groove back, each and every Desert Hills China Pantry is carefully handcrafted to order. Your kitchen cabinet offers concealed door hinges, beveled glass, and recessed display lighting with a touch control. The plate grooved glass shelf is standard with a hardwood facing. Shown in Quartersawn White Oak with standard diamond Walnut inlays, your Desert Hills China Pantry is a solid wood work of art. Handmade by Amish artisans, you choose the details that become your one of a kind heirloom including a preferred wood species and hand-rubbed finish option.